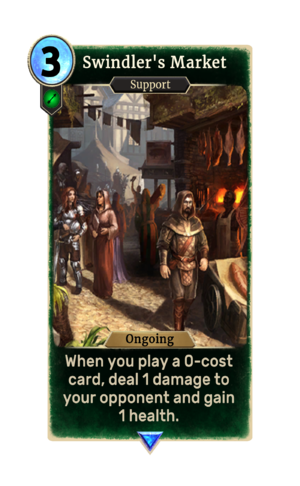 Swindler's Market is a rare Agility support card. It is part of the Madhouse Collection. It is available in the promotional Madhouse Collection. This page was last modified on 24 September 2018, at 23:25.